The impact of engineering for accessibility in K-12 education is significant. As these features continue to evolve, more and more students can be empowered to use them to overcome obstacles to learning and collaborating with their peers. 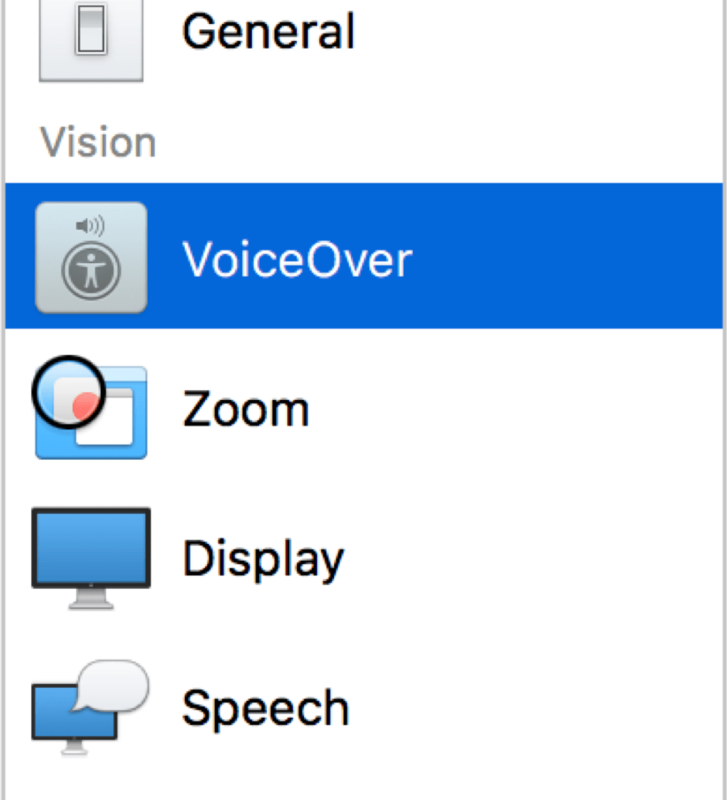 This article highlights the experience of 4 students using the accessibility features in iOS and macOS in school. While, each of these stories is true, the names have been changed. In each case, it was these features in Apple devices that allowed the student to access a world previously denied to them. In truth, these devices can do so much more than be a tool for education; they have the ability to transform lives. Jerica was a middle school student with dyslexia. Reading caused her great strain, often giving her headaches. She frequently made use of colored overlays. They were always difficult for her as she was very self conscious, not wanting to stand out from her peers. 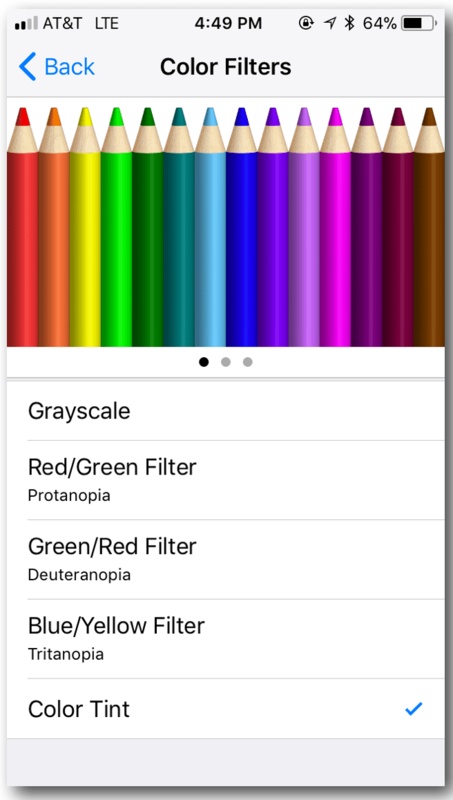 Initially when the iPads were issued, she experimented with the Accessibility features for vision in iOS (version 7 at that time) including inverting colors, but they didn’t do much to help her. She still used colored overlays, greens and blues seemed to help, but it was always awkward and difficult. Zoom was useful because it helped her to focus on smaller parts of the screen. I was already working in another school district when the Color Filters feature was introduced, but Jerica immediately came to mind. I ran into her and her family at the grocery store one day not too long ago. We took time to stop in the store and explore the Color Filters and how she can use them. She attends college now, and is finally able to ditch the awkward colored overlays. Addisyn was a third grade student with severe dyslexia and dysgraphia receiving instructional supports and services to assist her with reading and writing. Most academic interventions tried up to this point typically involved her giving oral responses. With each passing day, her writing fell further and further behind her grade level peers. Then we purchased iPad carts for her elementary school. Using the dictation feature, she was able to speak what she intended to write. No additional person was needed to transcribe her words. But she went one step further, Addisyn, as part of her instructional plan, would then transcribe her own writing onto paper and turn in both the typed and transcribed portions of her work. Cole was a high school student with severe difficulties in the area of reading comprehension. Ironically, Cole was a gifted story teller. His verbal comprehension and oral expression skills were very high. As an academic intervention, we often made audio CDs available to help him in his classes. Yet access to this material was limited. There was always a delay as we encountered new materials he needed, but did not have the audio files created. When we issued MacBooks as part of the 1:1 initiative at our high school, all that changed. I was able to sit down with Cole and teach him how to use the “Speak Selection” feature to have his screen read to him. We also turned this feature on as a service, so he could generate his own audio files and have them exported directly to iTunes. Cole no longer needed to rely on us to make CDs for him. The most powerful technology in the world is technology that everyone, including people with disabilities, can use. To work, create, communicate, stay in shape, and be entertained. So we don’t design products for some people or even most people. These features are powerfully transformative for those of us with significant challenges. What is also true is that these very same features can help anyone. We all benefit from increased flexibility in how we interact with technology, communicate with others, and access information. Previously, as a consulting trainer, we referred to accessibility features as personalization. They allow us to personalize the iPad or a MacBook to augment and better meet the needs of each individual user. It’s exciting to see features, like Siri, dictation, and zoom become common place. Devices like Watch and HomePod are built upon technologies originally designed with accessibility in mind. Yet, these same features proved to be so useful to everyone, that they provide core functionality for new devices and emerging technology. It’s exciting to watch this evolve and get better and better. Related Article – You may want to check out this article on Engineering for Accessibility.